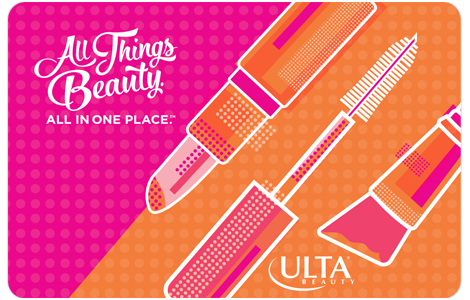 Ulta Beauty is the largest beauty retailer in the United States and the premier beauty destination for cosmetics, fragrance, skin care products, hair care products, and salon services. Since opening its first store in 1990, Ulta Beauty has grown to become the top national retailer providing All Things Beauty. All in One Place™. The Company offers more than 20,000 products from over 500 well-established and emerging beauty brands across all categories and price points, including Ulta Beauty’s own private label. Ulta Beauty also offers a full-service salon in every store featuring hair, skin and brow services. Ulta Beauty is recognized for its commitment to personalized service, fun and inviting stores and its industry-leading Ultamate Rewards loyalty program. With the rewards program, you can earn points that add up to free gifts, birthday presents, coupons, and more. As of April 29, 2017, Ulta Beauty operates 990 retail stores across 48 states and the District of Columbia and also distributes its products through its website, which includes a collection of tips, tutorials, and social content. With such a wide range of makeup and brands to choose from, Ulta Beauty gift cards make a great fit for bulk gift card purchases. National Gift Card is the perfect place to order your Ulta Beauty gift cards in bulk. Gift cards are our specialty, and we are always willing to help you set up your gift card solutions program today. If you would like more information about Ulta Beauty’s bulk, direct-to-recipient, or individual gift card fulfillment for your gift card program, please check out our contact page or call us at 888-472-8747.